The High Point model approach for working with domestic violence offenders and victims has significantly reduced offender recidivism. What’s their secret? Could it work in Maryland? 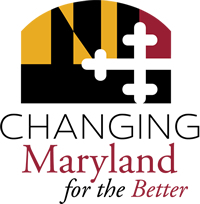 At least one Maryland county is using portions of the model to reduce domestic violence assaults. 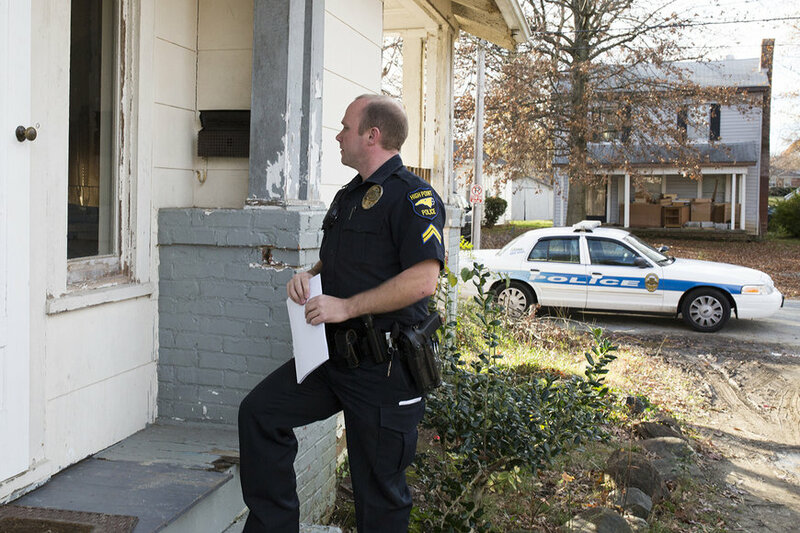 Tired of high recidivism rates and worrying that anything they did “might make it worse,” a team of over 20 agencies in High Point, North Carolina got together and developed a program that uses levels of progressively stronger deterrence matched to the offenders’ actions blended with offers of assistance. Each level of rising deterrence also includes specific types of services and safety planning for the victims. 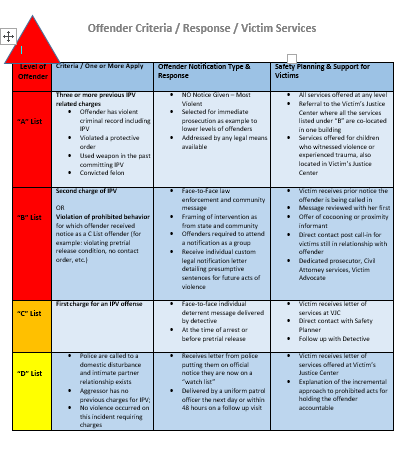 Click here for full page view of High Point table of “focused deterrence” steps, matched with services. The High Point model is based on an approach known as “focused deterrence” that was originally developed in Boston to reduce gang violence. Since police and the broader coalition starting using the new model 5 years ago, the percentage of re-arrests for domestic violence has fallen to 14% over more than 1,200 offenders. Re-arrest rates of 30%-40% are common in the peer-reviewed literature. In 2019 Court Watch will be reporting on the average rate of re-arrest for 3,000 intimate partner violence criminal offenders who have passed through Montgomery County District Court criminal domestic violence court over the last five years.